If your practice is located in the United Kingdom, you can integrate your organization contacts with Companies House. 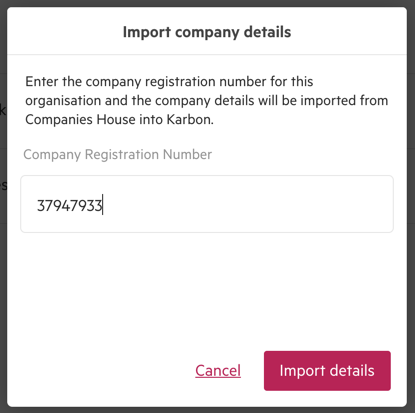 If your practice is located in the United Kingdom, integrating an organizaton with Companies House will let you import a company’s details to Karbon. From the organization's contact page that you want to import details for, go to the details tab. Scroll to connected applications and select manage connections. There, you have the option to import company details from Companies House. You will then be able to enter the Companies House Company Registration Number.